Brittle nails. It's the number one complaint people have when they come to me for nail and skin care services. In fact, we see soft nails, peeling nails and hard, dry nails everyday at the salon. A brittle nail is a nail that breaks easily. It can be a hard, dry brittle nail that cracks, has a piece break off or gets a split. A brittle nail can also be a soft, peeling brittle nail that bends and breaks. The technical term for brittle nails with ridges running along the length of the nail is onychorrhexis. Fragilitas unguium refers to fragile brittle nails. 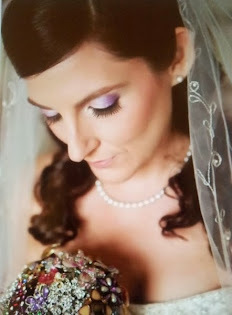 I do many types of nail services but, my specialty is the care of the natural nails. 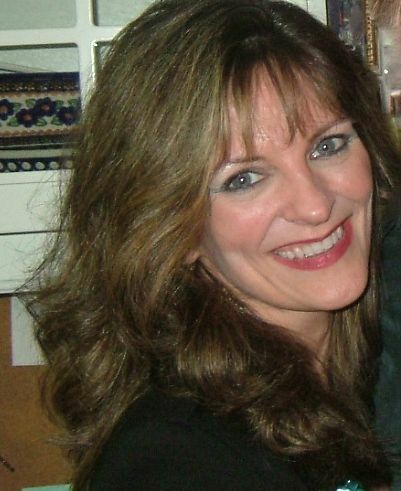 I've been doing nails, facials and makeup for more than 30 years. That's long before there was a nail shop on every corner. The goal is to have strong, tough nails that have flexibility so they bend a bit without cracking or breaking. We don't want super hard nails that can shatter and split when bumped, banged or jammed. The key to healthy hair, skin and nails is consistency. For instance, using hand lotion when you remember is not going to help dry skin and nails. It has to be used multiple times a day, everyday to be effective. Eating healthy to provide the body with the building blocks it needs to make healthy nails, means eating healthy all the time not just a couple days a week. I'm going to give you tons of info that I have researched and learned over the years on nail structure and how to help improve weak nails with proper care and good nutrition. Here we go!!! 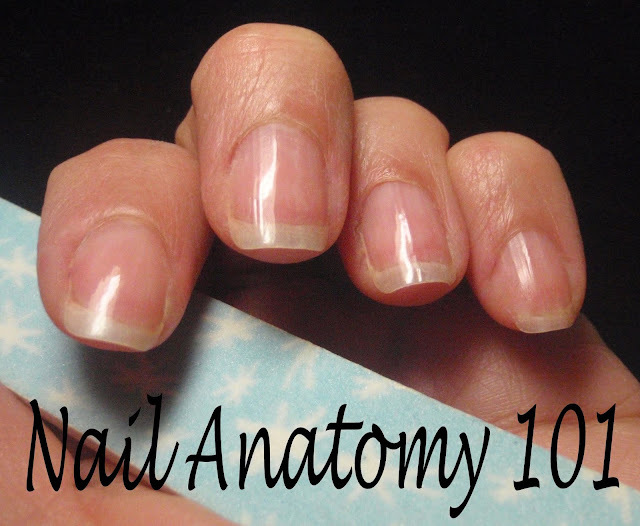 Let's go over some nail structure basics so the causes of brittle nails make more sense. What is a nail made of? The nails are made of flattened keratin protein cells with many cross-links holding the cells together. These are sulfur cross-links which are also made of protein, the amino acid cysteine. Each fingernail has multiple layers, 50 or so, of dead keratin cells. The nail plate is the fingernail that we file and polish. The nail plate is dead cells and has a curved shape. Nails contain about 18% water and about 5% natural oil supplied by the nail bed for flexibility. The nail bed is the pink portion underneath the nail plate. The nail plate is attached to it and slides along the nail bed as the nail grows. Nails can easily absorb more water and oil when exposed to water and topical treatments containing oils. Wet nails swell, flatten and become more flexible. Dry nails contract returning to their natural curved shape and become less flexible. Overexposure to water, with all that swelling and flattening followed by the contracting and curving of the nail, can weaken the bonds that hold the nail layers together resulting in peeling, splitting and breakage. Plus, exposure to water, soaps and detergent wash away natural oils. Where is the nail made? The protein cells that create the nail plate are made in an area under the skin at the base of the nail called the matrix. The white half moon, called the lunula, you see at the cuticle area of your nails is a visible potion of the matrix. The nail grows from the matrix. The size and shape of the matrix determines the shape and thickness of the nail. This varies from person to person. A long matrix will produce thick nails. A short matrix will produce thin nails. You can't change the size of the matrix you were born with but you can help it be in it's best working condition with TLC and good nutrition. A matrix damaged by injury will produce a flawed nail. Here is a photo of a toe nail with a damaged matrix. The damaged nail may have a permanent vertical line, split, indent or ridge. The matrix may also produce nail cells with weak cross-link bonds in it's damaged area resulting in peeling, layering nails. This is a permanently damaged nail that will always grow this way. The good news is, it can be temporarily fixed and beautified with nail wraps, acrylic or sculpting gel! Read more about nail wraps. It takes about 6 months to grow a nail from the cuticle area to the free edge. Nails grow faster in the summer, during pregnancy and after a nail injury. Nails grow slower in the winter, when there is poor circulation, when there is malnutrition, with serious infections and for those with psoriasis. Some medications can increase or decrease the nail growth rate. What does the matrix need to grow nails? 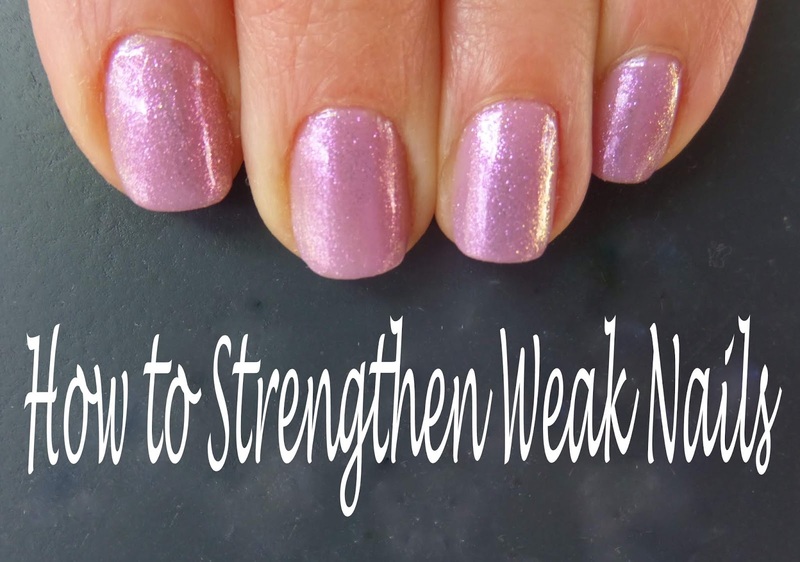 Now that you know a bit about the nails and how they grow, let's talk about the possible causes for weak nails and then the solutions to help strengthen weak nails. There are internal and external causes for weak nails. There are many external causes that are easily remedied. The internal causes can be a bit more tricky to remedy. Too much exposure to water, soaps and detergents strips the natural oil from the nails. This can be from frequent hand washing or cleaning. It can also be a job related issue. For instance, the hands bartenders and shampoo assistants are constantly exposed to water. Use of nail hardening products have made the nails too hard and dry. Overuse of polish remover and/or other solvents have removed oil and water from the nails. Low humidity levels can contribute to dry nails and skin as well. Digging in the dirt, creating an art piece out of clay, working with paper and folding laundry are all things that will absorb oil and water from the nails causing excessive dryness. Strong medications, including chemotherapy drugs, can weaken the nails. Nails become drier, more ridgy and more brittle as we age due to the cysteine cross-links becoming weaker and the nails and skin not retaining moisture well. Psoriasis can cause the nails to become thick, crumbly and have pits in the nail surface. Fungal infections can cause the nails to become thick and crumbly. A fungal infection will usually affect one nail but will most likely spread to more nails unless treated with anti fungal agents. An overactive or under active thyroid can cause nails to become dry and weak. Poor blood circulation causes the nails to become brittle because the matrix does not get enough nutrients from the blood to produce healthy nail cells. The matrix requires nutrients from a healthy diet to produce healthy nail cells. Excessive exposure to water and detergents removes oil from the nails. 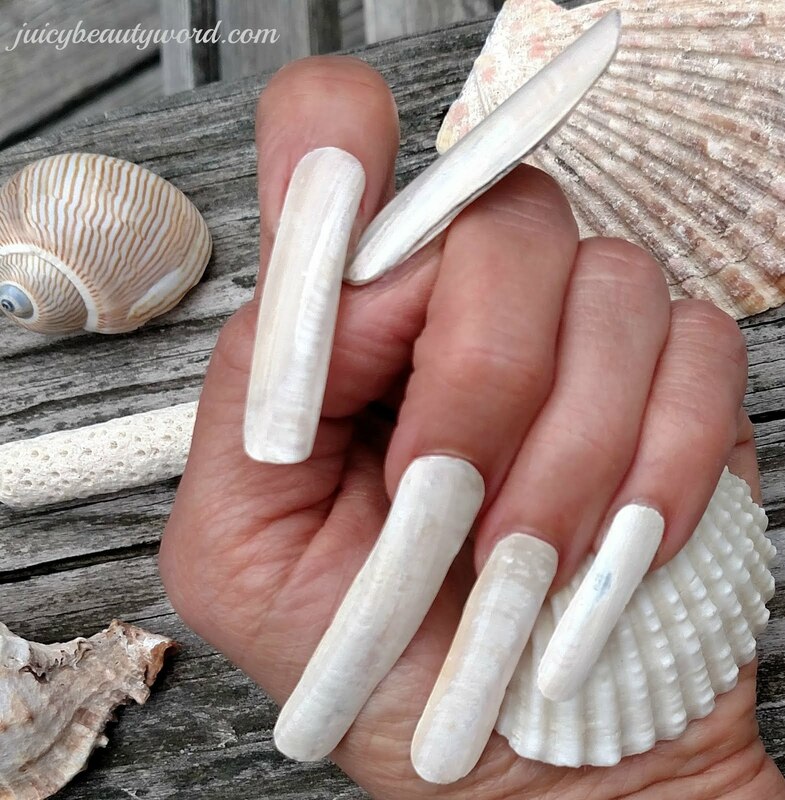 The layers of the nails separate from repeated swelling and flattening then contracting and curving of the nail resulting in weak peeling nails. Peeling the nail polish off of your nails removes layers of nail cells along with the polish resulting in nail layering, peeling and thinning. The nail damage may not be evident right away but will show as the damaged area reaches the free edge of the nail. The same damage will occur from peeling off gel polish and nail enhancements including acrylic nails, gel nails, nail tips and nail wraps. The scraping of the nail to remove gel polish that has not completely dissolved removes nail layers resulting in nail thinning, layering and peeling. Also, filing to remove gel polish or dip powder polish can also file away layers of nail. Overuse of polish remover and/or other solvents have removed oil from the nail and damaged the bonds that hold the layers of the nails together. The nail plate has been over filed causing thinning and peeling of the nails. Digging in the dirt, creating an art piece out of clay, working with paper and folding laundry are all things that will absorb oil and water from the nails. Ultra Violet light can weaken the surface layers of the nails causing them the layers to separate. UV light exposure comes from the sun as well as from the UV light used to cure nail enhancements and gel polish!!! The nail matrix is short and produces thin, weak nails or the nail has weak cysteine cross-links holding the nail layers together. Nails become weaker and more brittle as we age due to the cysteine cross-links becoming weaker and the nails and skin not retaining moisture well. An overactive or under active thyroid can cause nails to become weak and peeling. Nails can become brittle if the matrix does not get enough nutrients from the blood to produce healthy nail cells. Anemia. Iron helps the body produce red blood cells. The matrix requires oxygen from the red blood cells to build strong nail cells. The solutions for helping to strengthen dry brittle nails and soft brittle nails are surprising similar. There are lots of things you can do to improve your nails. Too much exposure to water is the #1 cause of brittle nails. Reduce the number of times you wash your hands each day. Apply lotion to your hands and nails right after washing. Avoid activities that involve prolonged soaking of the nails. Use waterproof gloves when cleaning and doing dishes. I know, you don't like wearing gloves when you clean. Sponges and scrubbers with handles are great for keeping your hands out of water while cleaning! Oil is the magic potion for both dry brittle nails and soft brittle nails. Oil adds flexibility to the nails, reduces surface brittleness and helps add strength to the bonds holding the nail cells together. Oil also seals in the natural water in the nail the same way a moisturizer seals water into the skin. A higher percentage of oil in the nails makes the nails more waterproof when exposed to water. Certain oils absorb into the nails more readily than others. Some oils that absorb easily into the nail are jojoba, olive, sweet almond oil, rice bran oil and avocado oil. You can apply the individual oil or use a blended oil product made for nails and cuticles. Apply oil to bare nails or to polished nails. Your nails will still get some benefit from the application of nail oil even when you are wearing nail polish. Apply oil to the nails and cuticle area a few times a day especially at bedtime. My favorite nail oil product has been CND Solar Oil. I have seen clients have amazing results by using this product regularly, especially on bare nails. It contains sweet almond oil, jojoba oil, rice bran oil and vitamin E.
CND also makes a keratin and oil product called RescueRXx to help damaged and peeling nails. Apply it to nails and cuticle area 2 times daily as a 1 to 4 week treatment product. When the nail improves, switch to Solar Oil as your daily maintenance product. RescueRXx is highly effective when applied to the bare nails. It can also be used on polished nails but it's only 20% effective. This product won't penetrate through nail enhancements. Avoid washing your hands for 30 minutes after applying Solar Oil or RescueRXx to allow the product to absorb into the nails and cuticle area. Note: CND was a company that did not test on animals. I'm not sure that is still is. I may be switching the oil I use during manicure to Qtica Solid Gold Anti-Bacterial Oil Gel or Orly Cuticle Oil Drops. Orly Argan Cuticle Oil Drops is an oil I like for the nails and cuticles. It's a blend of argan oil, jojoba oil and vitamin E to condition dry nails and cuticles. Apply a drop to each nail/cuticle area and massage in twice a day. Nails can be polished or bare. Orly does not test on animals. Qtica Solid Gold Anti-Bacterial Oil Gel contains tea tree oil and citrus oils to fight fungus and bacteria on the cuticles and nails. It also contains nourishing oils and vitamins for the skin and nails. Apply a tiny drop of oil gel to each nail/cuticle area and massage in twice a day. Burt's Bees Lemon Butter Cuticle Cream is another nice product to try. It says cuticle cream but it is wonderful for dry brittle nails as well. Burt's Bees products are not tested on animals. Ingredients: prunus amygdalus dulcis (sweet almond) oil, beeswax, citrus medica limonum (lemon) peel oil, theobroma cacao (cocoa) seed butter, euphorbia cerifera (candelilla) wax, beta-carotenerosmarinus officinalis (rosemary) leaf extract, tocopherol, helianthus annuus (sunflower) seed oil, glycine soja (soybean) oil, canola oil, vegetable oil. Some essential oils are especially helpful for brittle nails. The healing and anti microbial properties of myrrh, frankincense and lemon essential oils are particularly helpful for strengthening weak nails, according to Young Living. Most essential oils are too strong to apply undiluted to the skin. The proper way to apply essential oils to the skin is to dilute them by adding them by drops into a carrier oil. My favorite carrier oil for skin and nail treatment is jojoba oil due to it's small molecular structure that easily penetrates the skin and nails. Pour the jojoba oil into an ounce (30ml) glass bottle with eye dropper or 1 ounce roll on glass bottle. A funnel makes pouring easier. Add each essential oil. Close bottle and gently roll the bottle to blend the oils. Apply to nails and cuticle area and massage in twice a day. A weekly professional manicure is ideal for stimulating nail growth, application of high quality nail products, paraffin treatments, beautifying the nails and the repair of splits in the nails. I recommend Zoya nail polish. It's 10 free which means it's formulated without the hazardous chemicals formaldehyde, formaldehyde resin, dibutyl phthalate, toluene, camphor, TPHP, parabens, xylene, ethyl tosylamide and lead. 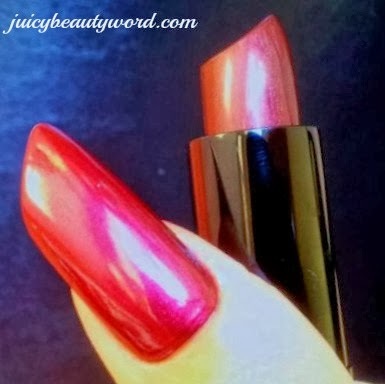 Plus, it's long wearing on natural nails and the colors are gorgeous! I also recommend QTica Smart Spa hand and body products. They have lots of scrubs, lotions and masks in a variety of yummy scents. Plus, they contain nice ingredients and they do not test on animals!🐇 Use hand lotions and creams several times a day especially after doing an activity that is drying to the skin and nails. If you are using a polish type nail strengthening product on your nails, be sure you are using the proper product. Different formulas are designed for different nail problems. For instance, Nailtiques makes Formula 1, Formula 2 and Formula 3. Formula 2 is for soft peeling, bitten, weak or thin nails. It is designed to harden the nails. Formula 1 is the maintenance formula to use after the nails have reach the desired results. Formula 3 is for naturally hard nails. It is designed to moisturize hard dry nails. Our favorite polish style strengthening nail product at the salon is Nail Optimizer. We find it effective on both hard and soft nails. Yes! Nail polish adds a temporary protective layer to the nails. It also helps reduce the amount of water the nails absorb when your hands are exposed to water. Nail polish will also protect your nails from UV light exposure. Do not peel off your nail polish. Use polish remover. Always remove chipped nail polish. The exposed nail in the chipped area is vulnerable to breakage. Too much nail polish remover is drying for the nails. Change your polish once a week at the most. There are acetone and non acetone nail polish removers. I prefer the quick acting acetone. Non acetone polish remover usually contains ingredients to reduce dehydration of the nails but they are less effective than acetone polish remover and you end up exposing the nails to the chemicals longer than with the quick acting acetone. It is very important to allow gel and dip powder polish to soak and soften properly to avoid damaging the nails by scraping or filing the polish off. It can take up to 30 minutes of soaking to soften gel polish that has been over cured or has been on longer than 2 weeks. Make sure your salon allows plenty of time to soak off gel or dip powder polish. Always mention that you are wearing gel or dip powder polish when you schedule your nail appointment. Do not allow the surface of the nail plate to be over filed. Over filing thins the nails and causes peeling. Only light filing, enough to remove the shine on the nail, is required before application of nail enhancements. Should Peeling Layers of Nail be Filed off? Wear appropriate gloves to protect your hands drying elements. Wear garden gloves for gardening. My clients like to double layer them with thin cotton gloves underneath the garden gloves to really keep the dirt out. Wear white cotton gloves while dusting and folding clothes. Wear warm winter gloves or mittens when you are outside in the cold dry air. Use a humidifier in your house to moisten dry air. Always apply hand lotion after any dehydrating task. Technically, that is part of the reason we have them but using your nails as tools can weaken and break them. Use tools to do simple tasks that you would normally do with the tip of your finger or your nails. Use a key to open a pop top can. Scrape sticker residue off with a plastic scraper not your nail. A guitar pick is a great tool for scraping! Always take your time doing daily tasks. Rushing increases the chances of your hand slipping off car door handle or your nails jamming into the bathroom tile and breaking your nails! 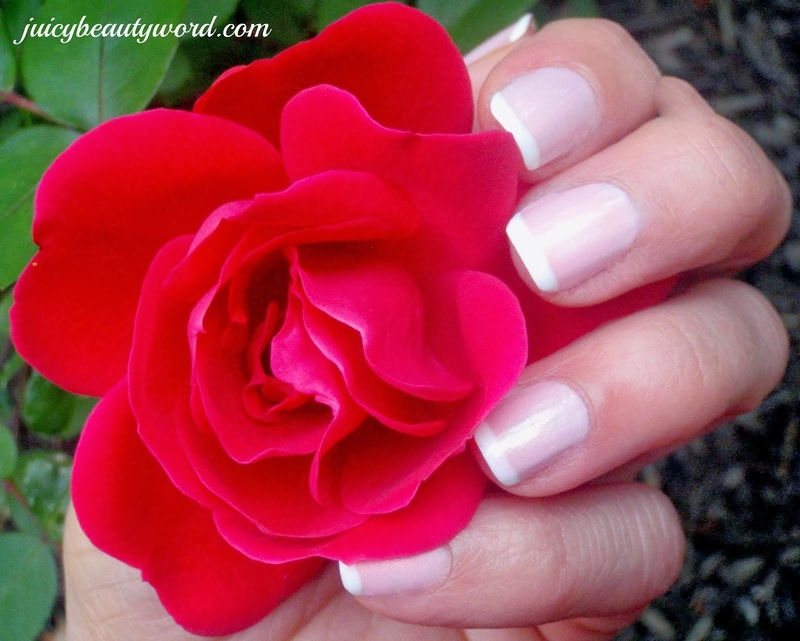 The massage portion of your manicure does more than just feel good! It actually stimulates the blood circulation to your finger tips. Sometimes a medical condition, such as Raynaud's disease, causes poor circulation to the hands. You can help increase the circulation to your hands a few simple ways at home. Always check with your doctor concerning a medical circulation problem before starting any program to increase circulation. Here are some ways to get the blood flowing! 💅 Massage your hands and fingers with hand lotion every day for 3-5 minutes on each hand. 💅 Use one of those squishy balls made for stress relief and hand exercise to increase circulation to your hands. 💅 Stand with your hands at your side then bend your elbows and shake your hands in a downwards motion to force blood to your hands. 💅 Stand with your arms outstretched at your sides. Now twist from your waist from side to side about 10 times to force blood to your hands. 💅 Clench your hands into a fist. Squeeze for 10 seconds. Then, open your hands stretching your finger out for 10 seconds. Repeat 10 times. Smoking causes circulation problems especially to the extremities. Poor blood circulation means the nail matrix can't get the nutrients it needs to make healthy nails. If your nails have become weak with frequent breakage, it could be your thyroid to blame. I have had a number of clients who had beautiful nails that became weak and brittle. Blood tests revealed thyroid and para thyroid issues. The nails gradually returned to their former state once the thyroid problems were treated. It's a good idea to have your iron level checked as well. An iron deficiency can also lead to brittle nails. Remember, the nails take about 6 months to grow from the cuticle to the free edge so it will take some time to see improvement in the nails after increasing you iron intake. Some anti-biotics, chemo therapy drugs, anesthesia drugs and more can interfere with nail growth. Check with your doctor or pharmacist if you are concerned that your medication is causing brittle nails. Maybe there is an alternative medication option. Drink plenty of water each day to keep the body hydrated and working in tip top shape. The experts recommend eight 8 ounces glasses of water each day. Eating fruits and veggies that have high water content, such as watermelon and cucumbers, help you stay hydrated too. I'm all about beauty foods! Eating a healthy diet should provide all the nutrients the body needs to create healthy nails. Sometimes, deficiencies can occur from medications, diseases, disorders and diets, Those eating a gluten free diet can be low in Vitamin D, some B Vitamins and minerals including iron, magnesium, zinc and calcium. Those eating a vegan diet may be low in B12, iron, calcium and zinc. Research shows it's best to get our nutrients from foods as opposed to supplements. However, there are times when supplements are necessary in the case of a severe nutritional deficiency. There are certain vitamins, minerals, fatty acids and amino acids that are necessary to build strong keratin for healthy, tough nails. Amino acids are important protein building blocks our bodies use to create keratin protein that our nails, skin and hair are made of. There are 9 essential amino acids, 7 conditional amino acids and 5 non essential amino acids. Essential amino acids must be eaten through our diet. Conditional amino acids are synthesized by the body but the body may not produce enough during illness, hard exercise or in young children. Non essential amino acids are synthesized by various systems in our bodies. Vitamin A is needed for keratin protein production. It also prevents keratin cells from breaking down and it supports circulation to the nail beds. Foods containing Vitamin A include fish oils, fortified dairy products and egg yolks. Beta Carotene is converted to Vitamin A in the body. Foods containing beta carotene include apricots, broccoli, butternut squash, carrots, cantaloupe, dark leafy greens, egg yolks, dried herbs: parsley, basil, marjoram, dill and oregano, kale, peas, pumpkin, romaine lettuce, red bell peppers, spices: paprika, chili powder, cayenne pepper, spinach and sweet potatoes. Vitamin D regulates the development and growth of keratin. Many of us have low Vitamin D levels. One reason is the high use of sunscreens, which is a good thing for protecting our skin from UV damage but a bad thing for Vitamin D levels. Bare skin produces vitamin D when exposed to the UV rays from the sun. It doesn't take a large amount of sun exposure to get the Vitamin D you need, maybe 15 minutes 3 times a week depending on your skin color. Click here for more on skin color, sun and Vitamin D.
Another reason for low Vitamin D is, it is not found in many foods. Foods containing Vitamin D are cod liver oil, egg yolks, fatty fish such as salmon and tuna, and mushrooms that have been grown in the sunlight. Foods fortified with Vitamin D include: almond milk, dairy products, cereals, orange juice and soy milk. Vitamin C helps us absorb iron from vegetable iron sources. It prevents the breakdown of the keratin cells, improves the circulation to the nails beds and is necessary for collagen and amino acid formation. Vitamin C is found in brightly colored fruits and vegetables including bell peppers, broccoli, blackberries, blueberries, Brussels sprouts, cabbage, cantaloupe, citrus fruits, cranberries, kale, mangoes, papaya, pineapple, potatoes, raspberries, spinach, strawberries and tomatoes. B vitamins helps form healthy keratin cells, healthy nail beds which support the nails and red blood cells which carry nutrients to the nail matrix. A deficiency can result in nail ridges, soft nails that break easily and nails that split along the ridges. This vitamin is needed for cell metabolism, for building keratin cells for healthy nails, skin and hair as well and preventing nail infections. Foods high in biotin include almonds, avocados, bananas, barley, cauliflower, cheeses especially blue cheese, eggs, lentils, mushrooms, oats, peas, peanuts, pecans, salmon, spinach, sunflower seeds, sweet potato, walnuts and yeast. Meat sources: organ meats. Folate is important for red blood cell production, the formation of non essential amino acids and the generation and growth of new cells. B6 is important for cell functions and for the formation of non essential amino acids and hemoglobin. It also keeps blood vessels healthy. Foods high in Vitamin B6 include avocados, bananas, black strap molasses, bread, eggs, fortified cereals, pinto beans, pistachios, potatoes, whole grains including oatmeal, rice, sesame seeds, sunflower seeds, sweet potatoes and wheatgerm. Meat sources: chicken, fish, turkey and grass fed beef. B12 is necessary for red blood cell production and the formation of non essential amino acids. Foods high in Vitamin B12 include cottage cheese, eggs, feta, fortified soy products, milk products, nori, nutritional yeast and shitake mushrooms. Meat sources: beef, fish, liver and shell fish. Iron is necessary for hemoglobin. Hemoglobin provides oxygen to the matrix to create healthy nail cells. Nails that are concave with many ridges (a condition called koilonychia) can be a result of iron deficiency anemia. A bluish nail bed is also a sign of a lack of iron. Eat iron foods with Vitamin C foods to help the body absorb vegetable based iron. Avoid calcium, tea and coffee when eating iron rich foods for better absorption. Foods high in iron include apricots, baked beans, black beans, black-eyed peas, broccoli, brown rice, chick peas, dried fruit, fortified cereals, kale, lentils, peas, pistachios, prunes, pumpkin seeds, quinoa, raisins, red kidney beans, roasted almonds, roasted cashews, sesame seeds, soybeans, spinach, spirulina, sunflower seeds, tofu, walnuts, watercress, whole grain and enriched breads. Meat sources include lean beef, clams, chicken, liver, oysters, mussels and turkey. Have a little dark chocolate for dessert! It's got iron. Magnesium is needed for enzyme processes that construct keratin. Vertical ridges and brittleness in the nails can be signs of a magnesium deficiency. Foods high in magnesium include almonds, avocados, bananas, barley, black beans, brazil nuts, chia seeds, chickpeas, collard greens, dark leafy greens, flax seeds, kale, lentils, mustard greens, oats, peas, pumpkin seeds, quinoa, soybeans, spinach, sunflower seeds, tofu, turnip greens and wheat. Meat sources include halibut, mackerel, salmon. Have a little more dark chocolate for dessert! It's got magnesium. Nitrogen is part of all the amino acids used to make proteins. It is found in protein foods and high purine foods. Foods high in nitrogen include asparagus, cauliflower, cheese, eggs, milk, nuts, oats, peas, seeds, soy beans, spinach and tofu. Meat sources include fish, meat, poultry and shellfish. This trace mineral is an antioxidant which prevents free radical damage to hemoglobin. Foods high in selenium include brazil nuts, eggs, mustard seeds, navy beans, oats, pasta, pinto beans, sesame seeds, shitake mushrooms, spinach, sunflower seeds, whole wheat breads. Meat sources include: chicken, beef, halibut, liver, salmon, sardines, tuna and turkey. This important trace mineral is needed for connective tissue formation and it supports healthy bones, hair, nails and nails. Foods high in silicon include barley, beer, bran cereal, brown rice, dried fruit, green beans, oats, mineral water, nuts, red wine and whole grain bread. Zinc is needed for enzyme processes that construct keratin. Foods high in zinc include almonds, cashews, chickpeas, peas, peanuts, peanut butter, pecans, pumpkin seeds, sesame seeds and wheat germ. Meat sources include chicken, crab, pork, oysters and turkey. Finish with it off with a little dark chocolate! It's got zinc. Essential Fatty Acids are polyunsaturated fats that help the body absorb nutrients. They also help to condition the nails, as well as the hair and skin. Most of us get plenty of Omega 6 fatty acid from our diets. In fact, sometimes too much! There should be a balance between the omega 6 and omega 3 fatty acids that you eat. A 4:1 ratio or lower is recommended. Anti aging experts say to increase your omega 3 intake and reduce your omega 6 intake to equal a 1:1 ratio. Many foods contain both omegas but in different amounts. Omega 3 fatty acid (alpha-linolenic acid) is often lacking in our diets. Omega 3's are important for lowering inflammation and helping the body produce strong keratin. Foods high in omega 3 fatty acid include arugula, Brussels sprouts, canola oil, chia seeds, collard greens, enriched eggs, flax seeds, flax seed oil, hemp seeps, hemp seed oil, kale, pumpkin seeds, spinach and walnuts. Fish sources include fish oil, salmon, tuna mackerel and sardines. We get plenty of omega 6 fatty acid (linoleic acid)! Mostly from refined oils (including corn oil, cotton seed oil, soybean oil and sunflower oil) from seeds and vegetables and processed fast foods, cookies, crackers, cakes and other foods made with those oils. Avoid refined oils and processed foods to reduce your omega 6 intake and help create a better balance between omega 3 and omega 6. 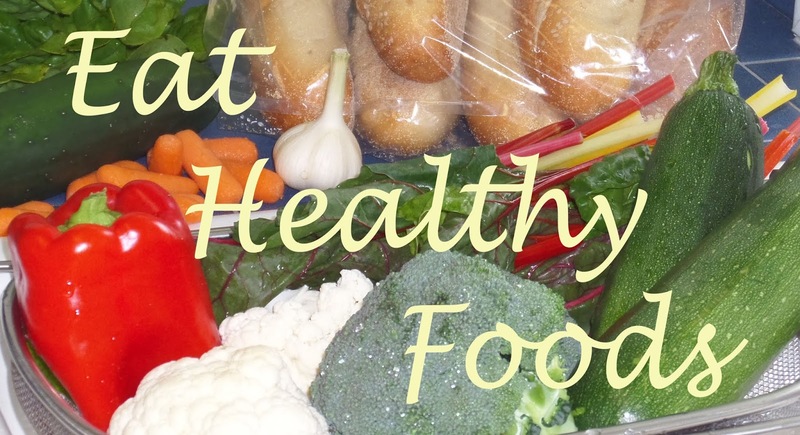 Healthy foods high in omega 6 fatty acid include black currant oil, egg yolks, evening primrose oil, flax seeds, flax seed oil, grains, hemp seeds, hemp seed oil, peanut butter, pine nuts, pistachios, pumpkin seeds, raw sunflower seeds, tofu and walnuts. We need all 21 of the proteinogenic amino acids to build proteins and maintain healthy bodies. The amino acids most beneficial for the formation of healthy nails are Histadine, Lysine, Arginine, Cysteine, Methionine, Serine, Proline, Glutamine, Glycine and Threonine. Foods classified as high protein foods contain amino acids as well as some unexpected veggie foods like celery and cucumbers. Keratin protein contains this essential amino acid. You have to eat it! Foods high in histidine include include apples, alfalfa sprouts, almonds, beets, black beans, carrots, celery, chia seeds, chickpeas, cucumber, dandelion greens, eggs, endive, flax seeds, garlic, lentils, milk, parmesan cheese, peanuts, pistachios, pomegranates, pumpkin seeds, quinoa, radishes, romano cheese, seitan, sesame seeds, soybeans, sunflower seeds, tempeh, turnip greens, watermelon seeds, wild rice and yogurt. All meats, poultry and fish contain histidine. Keratin protein contains this essential amino acid. It is an essential building block for all proteins of the body. You have to eat it! Foods high in lysine include almonds, black beans, cashews, chia seeds, chickpeas, cranberry beans, eggs, flax seeds, kidney beans, milk, parmesan cheese, pinto beans, pistachios, pumpkin seeds, quinoa, sesame seeds, soybeans, split peas, sunflower seeds, tofu, white beans and yogurt. All meats, poultry and fish contain histidine. Keratin protein contains this conditional essential amino acid that is produced from glutamine by the kidneys and small intestines. This amino acid is essential for young children. Bonus: arginine promotes healthy hair growth and supports collagen production for firmer skin! Foods high in arginine include alfalfa sprouts, beets, carrots, celery, chickpeas, cucumber, eggs, green peppers, lentils, milk, nutritional yeast, milk, oats, parmesan cheese, parsnips, peanuts, potatoes, pistachios, pumpkin seeds, radishes, romano cheese, sesame seeds, soybeans, spirulina, tempeh, tofu, turnip greens, watermelon seeds, walnuts, wheat germ and yogurt. All meats, poultry and fish contain arginine. The cross-link bonds that hold the nail cells together are made of this conditional essential sulfur containing amino acid which is produced by the body by using the amino acids serine and methionine. It also helps to counteract the negative effects of drinking alcohol! Foods high in cysteine include brazil nuts, chia seeds, chickpeas, eggs, fava beans, flax seeds, lentils, milk, oats, oat bran, parmesan cheese, peanuts, pine nuts, pistachios, pumpkin seeds, quinoa, sesame seeds, soybeans, sunflower seeds, split peas, swiss cheese, tofu, watermelon seeds, wheat germ, white beans, wild and brown rice, walnuts and yogurt. All meats, poultry and fish contain cysteine. This essential sulfur containing amino acid is used by the body to produce cysteine. You have to eat it! Bonus: methionine can help prevent premature graying of the hair! Foods high in methionine include black beans, brazil nuts, cashews, chia seeds, chickpeas, eggs, flax seeds, kidney beans, milk, oats, parmesan cheese, pistachios, pumpkin seeds, quinoa, sesame seeds, soybeans, sunflower seeds, tofu, watermelon seeds and yogurt. All meats, poultry and fish contain methionine. This conditional essential amino acid is formed by the body using glycine, threonine & B vitamins. It is used by the body to produce cysteine. Foods high in serine include almonds, asparagus, barley, cabbage, cauliflower, chickpeas, carob seeds, eggs, fenugreek, kidney beans, lentils, lima beans, milk, parmesan cheese, pasta, peanuts, peanut butter, pistachios, quinoa, romano cheese, sesame seeds, spinach, soybeans, tofu, walnuts, wheat germ and yogurt. All meats, poultry and fish contain serine. This conditional amino acid is produced by the body from the amino acid glutamine. Foods high in proline include alfalfa sprouts, asparagus, avocado, bamboo shoots, broccoli rabe, chickpeas, chives, cottage cheese, cucumber, eggs, feta, milk, mushrooms, parmesan cheese, peanuts, quinoa, seitan, soybeans, spinach, spirulina, tofu, watercress, wheat and yogurt. All meats, poultry and fish contain proline. This conditional essential amino acid in produced by the the body through the muscles. It's the most abundant amino acid in the body and promotes the production of skin cells. Bonus: glutamine slows aging of the skin!!! Raw veggies contain the most glutamine. Foods high in glutamine include almonds, asparagus, broccoli, cabbage, chickpeas, cilantro, collard greens, eggs, hazelnuts, kale, kidney beans, grass fed milk, lentils, parsley, peas, peanuts, pistachios, red cabbage, radish greens, ricotta cheese, soybeans, spinach, spirulina, tofu, walnuts, whey, and yogurt. All meats, poultry and fish contain glutamine. Glycine is a conditional essential amino acid needed for the production of red blood cells and for collagen production. Bonus: it's also an antioxidant that prevents aging. The liver forms glycine from serine and threonine. Foods high in glycine include bananas, beans, cabbage, cauliflower, cucumber, eggs, kale, kiwi, milk, oranges, parmasan cheese, pumpkin, pumpkin seeds, quinoa, soy, spinach, squash seeds, tofu, wheat germ and yogurt. All meats, poultry, fish and gelatin contain glycine. Threonine is an essential amino acid is needed for the body to make serine. You have to eat it! Foods high in threonine include almonds, black beans, cashews, chia seeds, chickpeas, cranberry beans, eggs, flax seeds, kidney beans, lentils, milk, parmesan cheese, peanuts, pinto beans, pistachios, pumpkin seeds, quinoa, sesame seeds, soybeans, sunflower seeds, tempeh, tofu, watermelon seeds, white beans and yogurt. All meats, poultry and fish contain threonine. People tend to worry about getting enough protein, especially if they are vegans or vegetarians. They also worry about eating a complete protein at one meal. A complete protein contains all 9 essential amino acids. Animal products are complete proteins, meats, poultry, fish as well as dairy products and eggs. There are some plant food that are actually complete proteins including avocado, beans: black, cranberry, french, pink, white, winged, yellow and soy, buckwheat, chia seeds, chickpeas, chestnuts, Ezekiel bread, hemp seeds, pistachios, potatoes, pumpkin seeds, quinoa, seitan, spinach, spirulina, split peas, and tofu. The problem is some of those plant foods may have a low amount of one or two amino acids so they are not considered to be high quality proteins. You can make them high quality, though. Vegetable protein sources can be eaten in a combination of complimentary protein foods to get sufficient amounts of the 9 essential amino acids to create a high quality complete protein. Combine a legume, which are beans, lentils and peanuts, with a grain, such as rice or wheat, to create a high quality complete protein. Or combine a legume with nuts or seeds to create a high quality complete protein. For instance, the protein in wheat is low in lysine. Chickpeas are high in lysine. The combination of hummus and pita bread creates a high quality complete protein. Many beans low in methionine but high in lysine. Rice is high in methionine but low in lysine. Together they make a high quality complete protein. A peanut butter and jelly sandwich is another example of a high quality complete protein. A trail mix containing peanuts and sunflower seeds is a complete protein. All the research I have done shows that as long as you are eating a variety of protein foods that provide the 9 essential amino acids throughout the day over a period of a day or two, your body will be getting all the proteins it requires. As for actual grams of protein needed daily, there is a formula to calculate the amount of protein you need for your body weight, 0.8 grams of protein per kilogram of body weight. Don't like math? Me neither! Here is a link to a handy protein calculator. It's pretty great! The RDA is 46 grams of protein for the average sized woman and 56 grams of protein for the average sized man per day. I have lots of healthy, yummy vegetarian recipes full of protein beauty foods to help your body build grow strong, beautiful and young looking hair, nails and skin. A new Jill's Beauty Foods blog may be in order to share all of these recipes!!! Stay tuned. 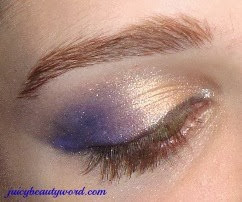 In the mean time, you can visit the Recipes: Food and Skin Care page on The Juicy Beauty Word. I hope my brittle nails post helps you get your nails on the road to recovery. You can always come to see me at Styling Point in Media, Pa for some skin care and nail TLC! Take good care of your nails. Don't use them as tools or bite them. Apply hand lotion at least twice a day and after handling things that absorb moisture from your skin and nails. Use nail strengtheners that are appropriate for your nail condition. For instance, Nailtiques Formula 2 is for soft, peeling, bitten, weak, thin nails. Nailtiques Formula 3 is for naturally hard nails. Nailtiques strengtheners are polish style keratin protein products which are applied as a base and top coat then once daily over the previous coats and removed weekly. I have found them to be helpful for some people. I do not know the source of the keratin protein and protein in these products. They also contain gelatin and formaldehyde resin. Formaldehyde resin is a typical ingredient for nail strengtheners. Nail Optimzer is another polish style nail strengthening product many of my clients have had success with. It is applied in the same fashion as Nailtiques. The protein in Nail Optimizer comes from soy, rice and wheat. It contains formaldehyde resin and a small amount of formaldehyde. Both brands are cruelty free. Limit the use of dehydrating nail polish remover to once a week. Gel polish can take up to 30 minutes to soak off if it has been over cured or has been on the nails for a long period of time. Be sure that you or your salon takes the time to let the gel polish dissolve completely to avoid scraping the nails. Always let the salon know your are wearing gel polish when you schedule your appointment to allow plenty of time for soak off. I have found Shellac to be the least damaging gel style polish. Do not allow your nails to be excessively filed on the surface of the nail plate when you have your nails done. Generally, the nail plate surface is only filed in preparation to the application of a nail enhancement or gel polish. Have a waterless manicure at the salon to avoid soaking your nails in water. A waterless manicure should also reduce the chance of your polish chipping in the first day or two of wear. Wear gloves when you are outside in cold winter air. Wear gardening and/or work gloves when doing projects around the house. Yes! Wear nail polish to add temporary thickness and strength to thin nails. Nail polish will also help the nails retain their natural moisture level plus, polish will reduce the over absorption of water by the nails when your hands are exposed to water. Remove or touch up chipped polish. Chipped polish leaves the unpolished area of nail vulnerable to breakage. Don't peel of nail polish, gel polish or nail enhancements. Nail polish will help protect your nails from the sun's UV rays. I have seen thyroid issues affect nails quite a few times with my clients. Nails that were once strong and healthy suddenly or gradually became weak, brittle, dry and peeling. Blood tests revealed thryoid or para thyroid issues. After the clients had their thyroid issues treated, the nails gradually improved as the nails grew with healthy nail cells. Remember it takes about 6 months to grow a new nail. Have your iron checked as well when your get your thyroid blood test. Those who are anemic do not have enough iron to create the needed amount of hemoglobin (an important part of the red blood cells) which carries oxygen through the body. The matrix requires oxygen to form strong nail cells. Nails become weak, brittle and can become concave or spoon shaped. In addition, the nail beds can look pale or bluish due to low iron. Lack of iron can make you feel sluggish, tired and short of breath. Sometimes the circulation isn't the best to your hands and fingers due to inherited conditions, disorders and diseases such as diabetes, arthritis and Raynaud's disease. The matrix needs nutrients from the blood to make healthy nails. Massage and exercise can help improve the blood flow to the hands. The massage portion of your manicure does more than just feel good! Massage improves the circulation. Massage your hands with hand lotion daily paying special attention to the fingertips. Stand or sit with your hands at your sides then shake them to force blood to the fingertips. Also, stand with your arms outstretched at your sides. Now twist from your waist from side to side. This will also force blood to the fingertips. Make a fist and squeeze for 10 seconds. Then, stretch your fingers out for 10 seconds. Repeat 5 times or more. Exercise your hands by squeezing a squishy ball to strengthen hand and wrist muscles and improve circulation. Keep the hands warm by wearing winter gloves. Stop smoking! Smoking damages red blood cells and blood vessels inhibiting the circulation. Eating a well balanced diet should provide all the vitamins, minerals, fatty acids, carbohydrates and proteins needed for healthy nails. Nutrient deficiencies can occur from a poor diet, special diets, hormonal changes, medical conditions and medications. Those on a gluten free diet may be low in iron, calcium and B Vitamins. Vegans may be low in B12, calcium, iron and zinc. There are specific vitamins, minerals and amino acids the body uses to build strong keratin and strong cross-linked cysteine bonds for healthy tough nails. Some of the amino acids that our bodies need are produced by the body. They are called non essential amino acids. Specific nutrients are required for the body to manufacture some non essential amino acids. There are 12 non essential amino acids. Amino acids that must be supplied through our diet are essential amino acids. There are 9 essential amino acids. Research shows it is more beneficial to get our vitamins, minerals and other nutrients from foods as opposed to supplements, but sometimes supplements are necessary when there is a severe nutritional deficiency. The following list of nutritional needs for healthy nail formation includes foods for each nutritional need. The foods listed are partial lists and they favor a vegetarian diet. I feel a diet high in plant based foods provides a healthy abundance of nutrients that can only be obtained from the unique phytochemicals developed by the plant. 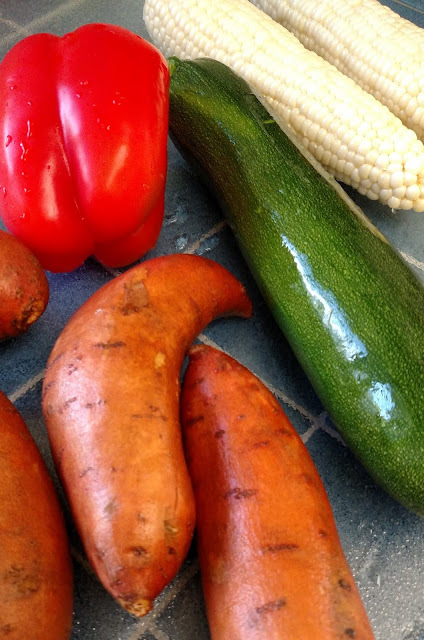 The nutritional values of some plant foods may surprise you. For instance, many protein building blocks are found in plant foods not typically thought of as protein foods. Spinach, though not a complete protein, has about 3 grams of protein in a cooked 1/2 cup serving! A medium white potato also has about 3 grams of protein. Eating a wide variety of plant foods, including plant foods known to be high in protein, each day will provide a body with the amino acids it needs to build healthy keratin. Vitamins play a key role in the absorption of nutrients, the formation of healthy nails cells and the synthesis of non essential amino acids. A deficiency in certain vitamins can show in the nails with a ridge down the center of the nail, ridges that feel bumpy and bead like, weak nails and gray brown nails. Vitamin A helps to activate keratin genes resulting in keratin protein production and plays an important role in the growth of keratin cells. Vitamin A supports circulation to the nail beds and nail matrix and prevents keratin from breaking down. Eat beta carotene foods including butternut squash, cantaloupe, carrots, dark leafy greens, green peppers, kale, mango, papaya, pumpkin, spinach and sweet potatoes. Animal sources include butter, cheeses: cheddar, cream cheese, goat, feta, eggs and fatty fish. Vitamin C enhances the body's absorption of iron, particularly vegetable based iron from leafy greens, supports circulation to the nails beds and the matrix and prevents keratin from breaking down. It also is needed for the proper formation of collagen and synthesis of non essential amino acids. Eat red and yellow bell peppers, broccoli, Brussels sprouts, cantaloupe, citrus fruits, kale, pineapple, potatoes, strawberries and tomatoes to get a nice dose of Vitamin C.
Vitamin D plays a role in the development and growth of keratin cells. Many people are low on Vitamin D these days due to the use of sunscreen, which is a good thing, but our bare skin manufactures much needed Vitamin D from the sun's UV B rays. The amount of exposure you need varies according to skin color. It isn't much. For instance, it can be just 15 minutes of sun exposure on bare skin three times a week. Click here to read how much sun exposure is needed. Eat yogurt, milk, soy milk, orange juice and cereals fortified with Vitamin D, egg yolks, cheese and fatty fish to get your Vitamin D from food. B Vitamins: Vitamin B7-Biotin, Vitamin B12-Cobalamin, Vitamin B9-Folate B Vitamins are necessary for the creation of red blood cells which carry oxygen to the nail matrix, to help make amino acids for proper nail formation. They also help prevent nail infections. Some medications can cause a deficiency in B6 and B12. Read more about these meds. B12 foods include beer, cheese, eggs, fatty fish, fortified foods such as soymilk and cereals, milk, nori, nutritional yeast, shell fish, shiitake mushrooms, tempeh and yogurt. B6 foods include avocados, bananas, beer, black strap molasses, eggs, garbanzo beans, pistachios, pinto beans, potatoes, sesame seeds, sunflower seeds and spinach. Folate is found in asparagus, avocado, beets, black beans, broccoli, Brussels sprouts, cauliflower, carrots, celery, citrus fruits, collard greens, corn, flax seeds, garbanzo beans, kale, lentils, lima beans, okra, parsnips, peas, pinto beans, pumpkin seeds, romaine lettuce, sesame seeds, spinach and sunflower seeds. Iron- Evidence of an iron deficiency can show in the nails. Brittle breaking nails, spoon nails, pale or bluish nails can be symptoms of an iron deficiency. For better iron absorption from foods or supplements, eat iron foods with Vitamin C foods and avoid eating high calcium foods, tea and coffee with iron foods. Veggie foods high in iron include apricots, baked beans, black beans, black eyed peas, brown rice, dark chocolate, dried fruits, fortified cereals, garbanzo beans, kale, lentils, lima beans, pistachios, prunes, pumpkin seeds, raisins, red kidneys beans, sesame seeds, soybeans, spinach, spirulina, sunflower seeds, tofu, walnuts, watercress and whole grains. Magnesium- Magnesium is needed for enzyme processes including the formation of keratin. A deficiency can result in vertical lines in the nails, brittle nails and slow growing nails. Almonds, cashews, black beans, dark chocolate, dark leafy greens, edamame, nuts, peanuts, quinoa, sesame seeds, spinach, tofu and whole wheat are some foods high in magnesium. Nitrogen- Nitrogen is part of all the amino acids used to build proteins. Foods that are a good source of nitrogen include asparagus, cauliflower, dairy products, eggs, green peas, nuts, legumes, oats, seeds, soy, spinach and wheat. Sulfur- Sulfur cross-links keep nails strong. A deficiency can result in weak brittle nails. Sulfur is found in arugula, bok choy, broccoli, Brussels sprouts, cabbage, cauliflower, coconut, dairy products excluding butter, dried beans, dried fruits, eggs, garlic, horseradish, kale, kholrabi, leeks, legumes, mustard greens, nuts, oats, onions, radishes, shallots, turnips and watercress. Zinc-Zinc is needed in small amounts every day for a healthy immune system, cell division, wound healing and many enzyme processes including the formation of keratin. White marks on the nails, slow growing, splitting nails or horizontal dents can be a sign of a zinc deficiency. Foods containing zinc include cashews, cocoa, baked beans, dairy products, dark chocolate, eggs, garbanzo beans, kefir, mushrooms, peanut butter, pumpkin seeds, sesame seeds, soy, spinach, tahini, toasted wheat germ, tofu, wild rice and yogurt. Protein is needed for the body to make keratin. The amino acids that are particularly helpful in building strong keratin protein and strong cysteine sulfur cross-link bonds are a mix of essential and non essential amino acids. They are histidine, lysine, arginine, cysteine, methionine, serine, proline, glutamine and glycine. Eat the necessary essential amino acids and eat foods the support the body's production of non essential amino acids. cheese, peanuts, pistachios, quinoa, radish, Romano cheese, sesame seeds, soybeans, sunflower seeds, tofu, turnip greens, whole grains, wild rice and yogurt. Lysine- This essential amino acid is found in almonds, black beans, cashews, chia seeds, eggs, flax seeds, garbanzo beans, kidney beans, lentils, milk, parmesan cheese, pinto beans, pistachios, pumpkin seeds, quinoa, seitan, sesame seeds, soy beans, sunflower seeds, tempeh, tofu and yogurt. Methionine- This essential amino acid is needed to synthesize cysteine. It is found in Brazil nuts, cashews, chia seeds, black beans, eggs, flax seeds, garbanzo beans, milk, parmasan and other cheeses, pistachios, pumpkin seeds, quinoa, soy beans, sunflower seeds and yogurt. Arginine- This non essential amino acid is synthesized by the kidneys. Increase your arginine intake by eating alfalfa, beets, carrots, celery, cheese, cucumbers, garbanzo beans, eggs, green veggies, leafy greens, leeks, lentils, milk, parsnips, peanuts, potatoes, pumpkin seeds, soy beans and spirulina. Cysteine- This non essential amino acid is synthesized by the liver by using two other amino acids, serine and methionine. Eat brazil nuts, chia seeds, eggs, fava beans, flax seeds, garbanzo beans, lentils, milk, oats, parmesan cheese, pine nuts, pistachios, pumpkin seeds, quinoa, roasted soybeans, sesame seeds, sunflower seeds, split peas, swiss cheese, tofu, whole grains, wild and brown rice and yogurt to boost your cysteine. Serine- This non essential amino acid is produced by the body using the amino acid glycine and is needed for the synthesis of cysteine. Foods high in serine include asparagus, cabbage, cauliflower, carob seeds, eggs, fenugreek, lentils, lima beans, kidney beans, milk, parsley, pasta, peanuts, peanut butter, parmesan cheese, pistachios, pumpkin seeds, ramano cheese, rice, sesame seeds, soy, spinach, sunflower seeds and yogurt. Proline- This non essential amino acid is synthesized from the amino acid glutamine and is important for collagen production. Eat asparagus, alfalfa sprouts, bamboo shoots, cucumber, chives, cottage cheese, eggs, feta cheese, garbanzo beans, milk, mushrooms, parmesam cheese, peanuts, seitan, savory cabbage, spinach, soy, spirulina, watercress, wheat and yogurt. Glutamine- This non essential amino acid is synthesis by the muscles and is needed for Proline synthesis. Almonds, asparagus, beets, bok choy, broccoli, brussels sprouts, cabbage, carrots, celery, cilantro, collard greens, eggs, garbonzo beans, hazelnuts, kale, kidney beans, lentils, milk, peas, peanuts, pistachios, radish greens, red cabbage, ricotta cheese, soy beans, spinach, spirulina, walnuts and yogurt are good sources of glutamine. Glycine- This non essential amino acid is needed for the production of Serine. Eat almonds, banana, beans, cauliflower, cabbage, carob seeds, eggs, kale, kiwi, lentils, milk, oranges, parmesan cheese, pistachios, potatoes, pumpkin seeds, sesame seeds, soy, spinach, spirulina, sunflower seeds, sweet potatoes, walnuts watercress, wheat germ and whole grains to get Glycine. Essential fatty acids are fats that the body needs for many functions including creating strong healthy nails. Fatty acids help to condition nails, skin and hair as well. Brittle splitting nails can be a sign that you are low Omega 3 or Omega 6 fatty acids. Omega 6 Fatty Acids Almonds, black currant oil, brazil nuts, corn oil, cottonseed oil, eggs, grapeseed oil, evening primrose oil, flaxseed oil, peanuts, pecans, pine nuts, pistachios, pumpkin seeds, soybean oil, sunflower oil, sunflower seeds and wheat germ oil.